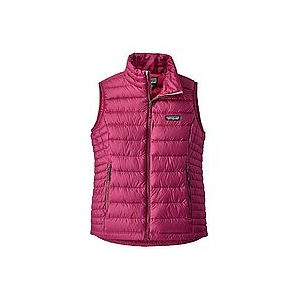 The Sierra Designs Women's DriDown Hooded Vest is a harmonious blend of casual styling and outdoorsy performance. It's tough against weather and stylish for the streets, meaning you'll be happy to have this vest with you wherever you roam. DriDown helps the lofty 800-fill down insulation shed light precipitation, and it dries faster than untreated down. Stretch knit sides provide a full range of motion, while the capped sleeves add style and warmth by completely closing the armholes. 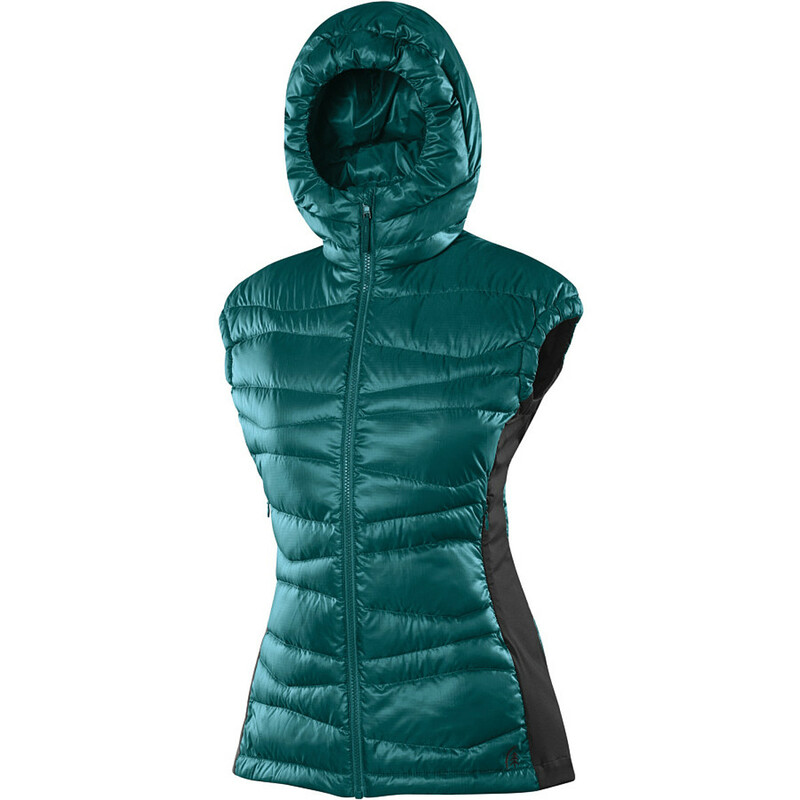 The hood converts into a tall collar when you want more cush around your neck and less warmth for you head. 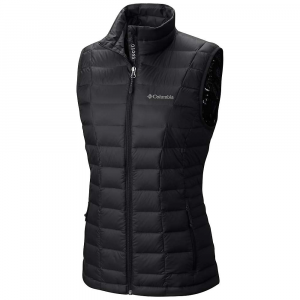 The Sierra Designs Dridown Hoody Vest is an active down vest with stretch side panels and a hood that converts into a high collar for extra warmth. 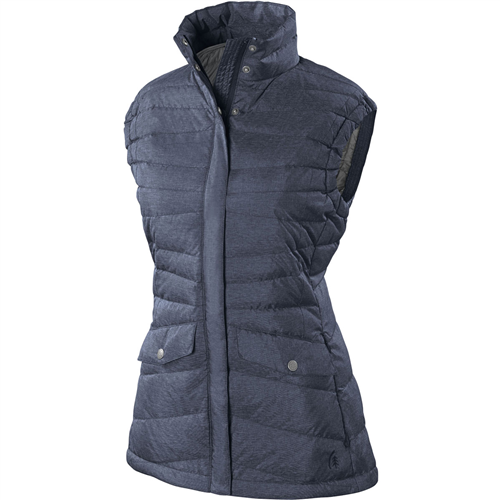 Here's a down vest with stretch side panels and a hood that converts into a high collar for extra warmth. Its DriDown(TM) fill keeps you warm and dries fast even if it gets wet. On Sale. Free Shipping. Sierra Designs Women's DriDown Hooded Vest FEATURES of the Sierra Designs Women's DriDown Hooded Vest 30D Polyester fabric for lightweight durability Hat (not helmet) compatible hood folds into a high, protective collar Center-front zipper secures hood around face without the need for a draw cord Insulated storm flap with anti-snag construction Insulated hand pockets are accessible above a hip belt Regular cut fits over light layering SPECIFICATIONS of the Sierra Designs Women's DriDown Hooded Vest Shell and Lining: 30D 100% Poly 1.5 oz / 51 g, DWR, Cire Side Panels: Poly/Lycra Knit MVTR: 1,020g (ASTM), 25,000g (JIS) Fill Weight: 60 g Air Permeability: 0.75 CFM Water Entry Pressure: 410 mm Weight: 9 oz Center Back Length: 26.25in. 600 Fill Power Duck DriDown SIERRA DESIGNS DriDown(TM) : The Sierra Designs DriDown technology is the revolutionary down insulation that stays drier 7-times longer than untreated down. 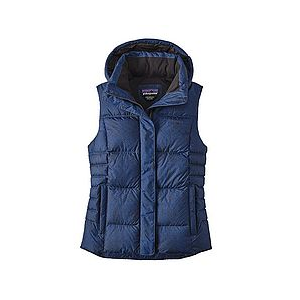 The hydrophobic finish lets sweat escape while keeping rain and snow from soaking in. Compared to untreated down, it retains 34% more loft even when exposed to moisture and humidity, and it dries 33% faster. So neat. 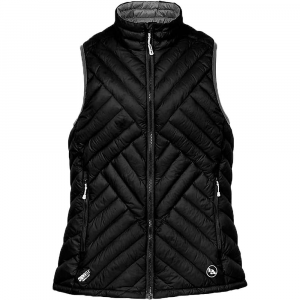 The Sierra Designs DriDown Hooded Vest is not available from the stores we monitor. It was last seen January 9, 2018	at Backcountry.com.